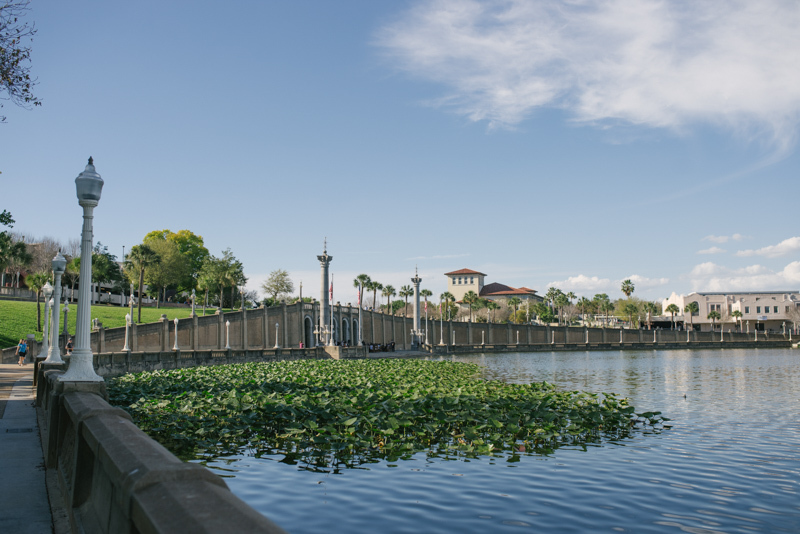 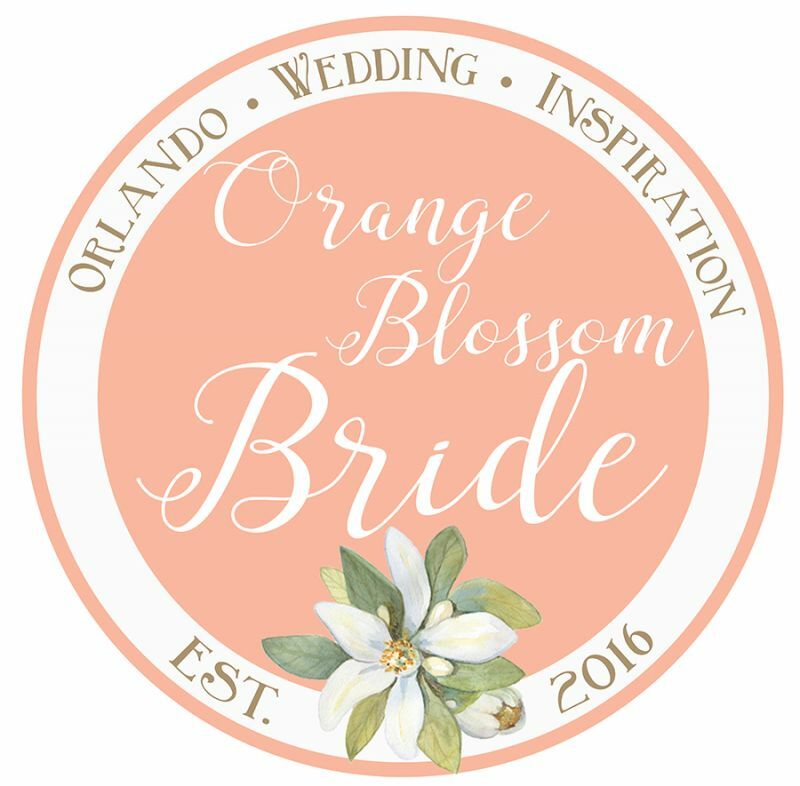 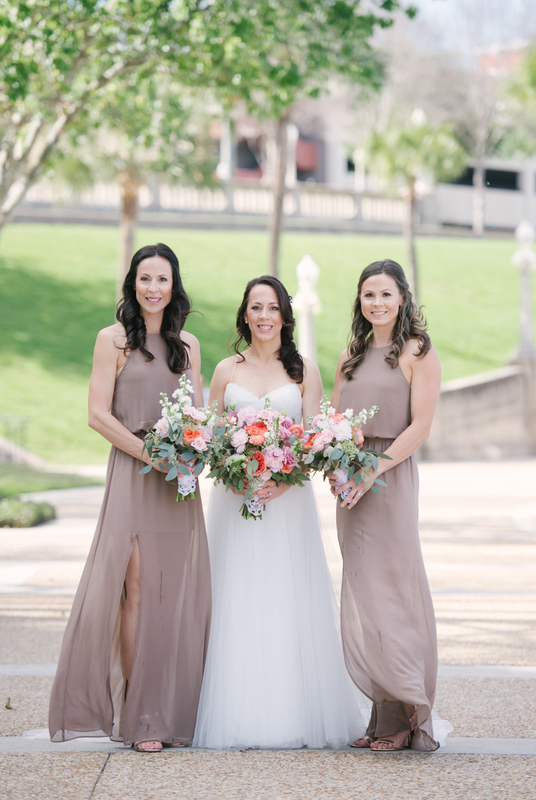 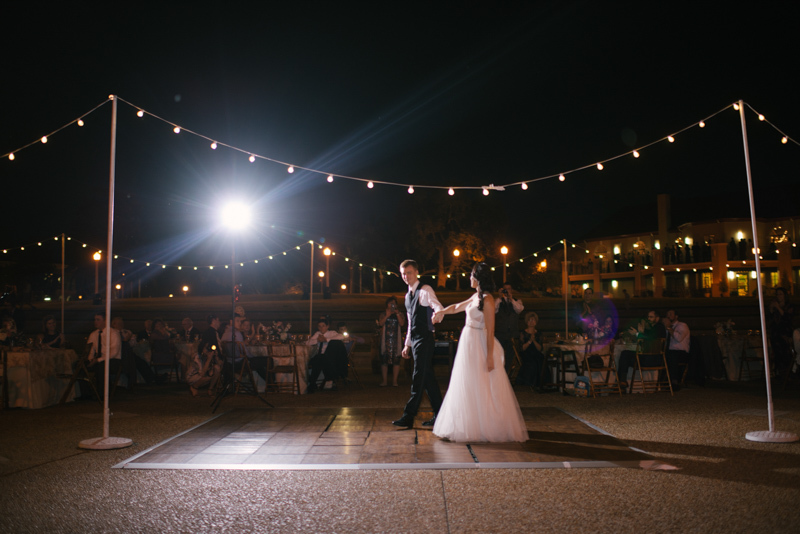 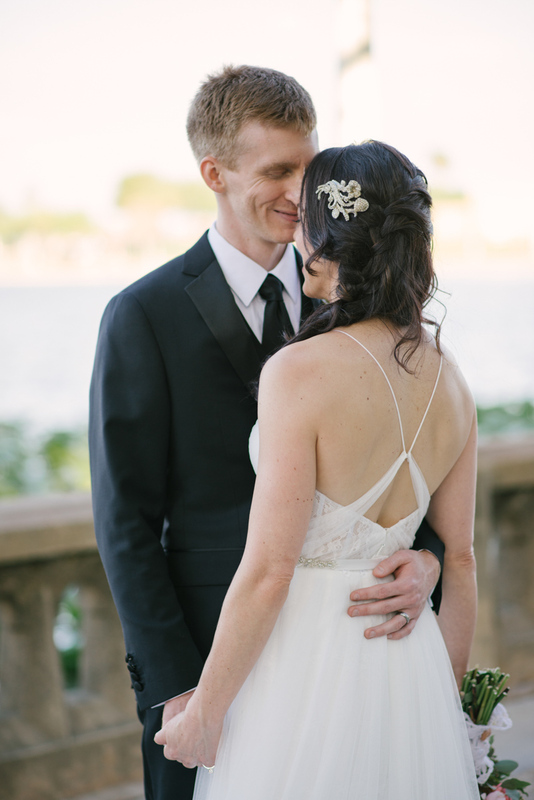 Hilary and Christopher's waterfront wedding shows off the beauty of Hilary's hometown, Lakeland. 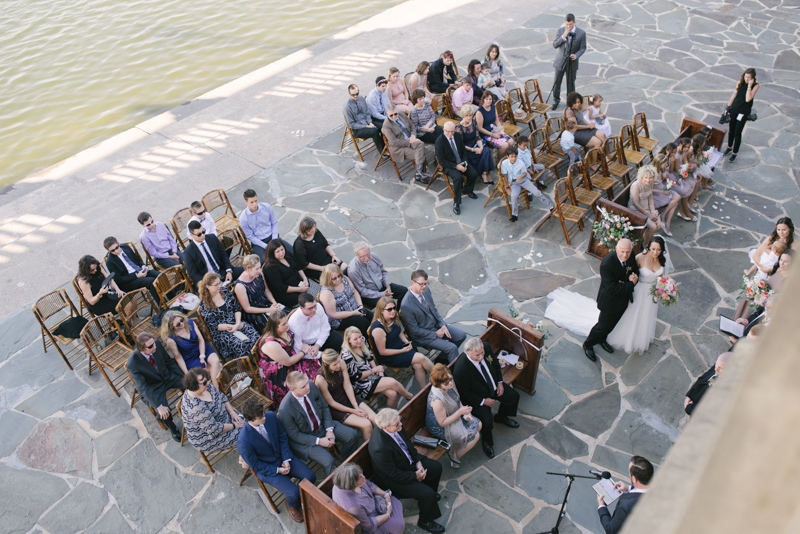 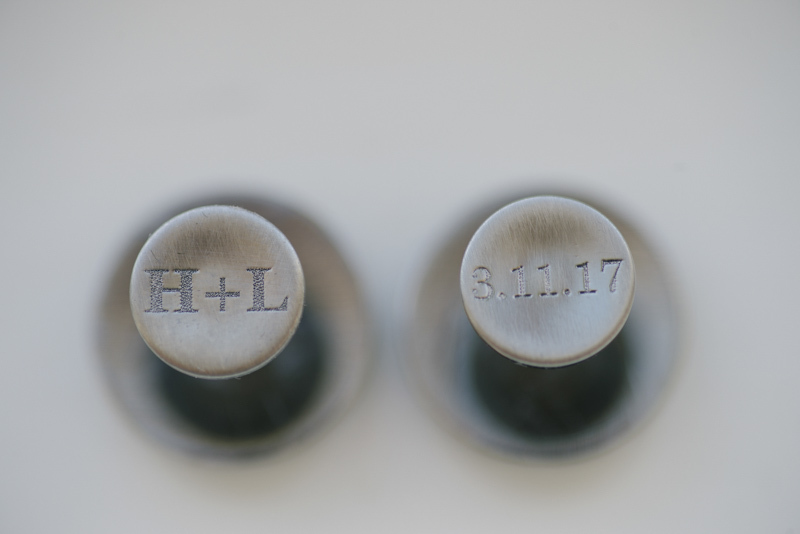 The two of them said their I Do's in front of the stately Loggia at Lake Mirror as the lake itself stretched out behind rows of guests. 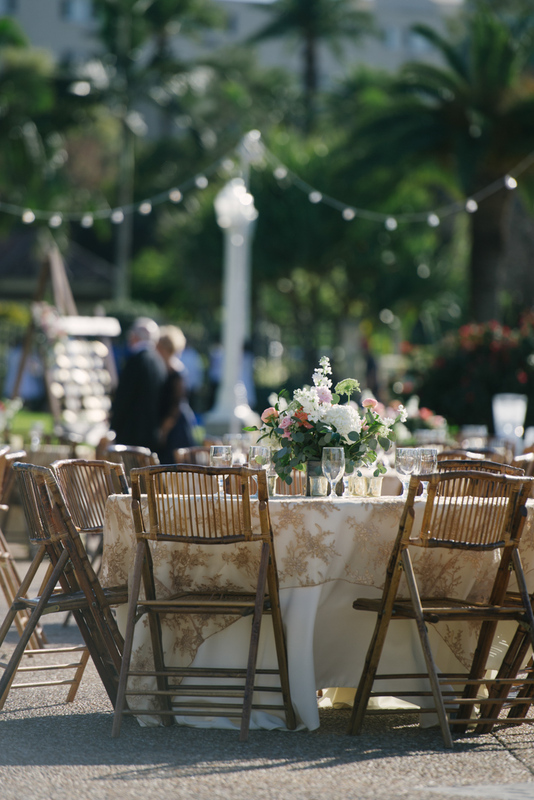 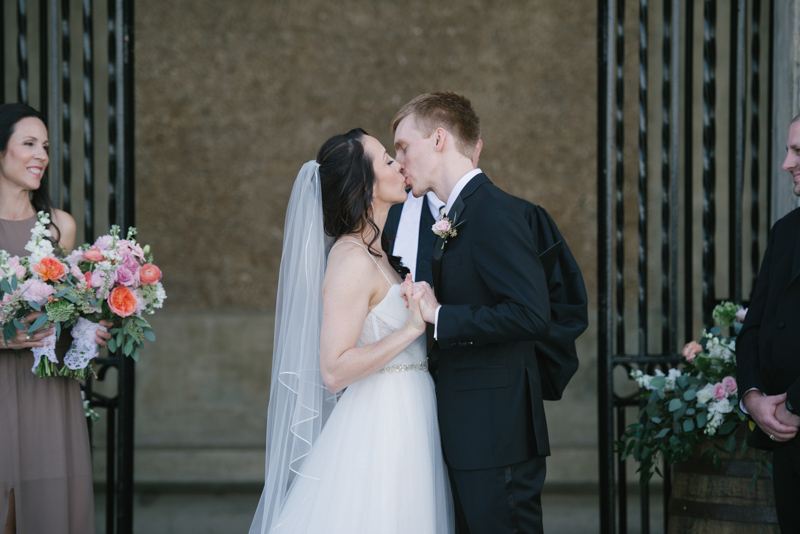 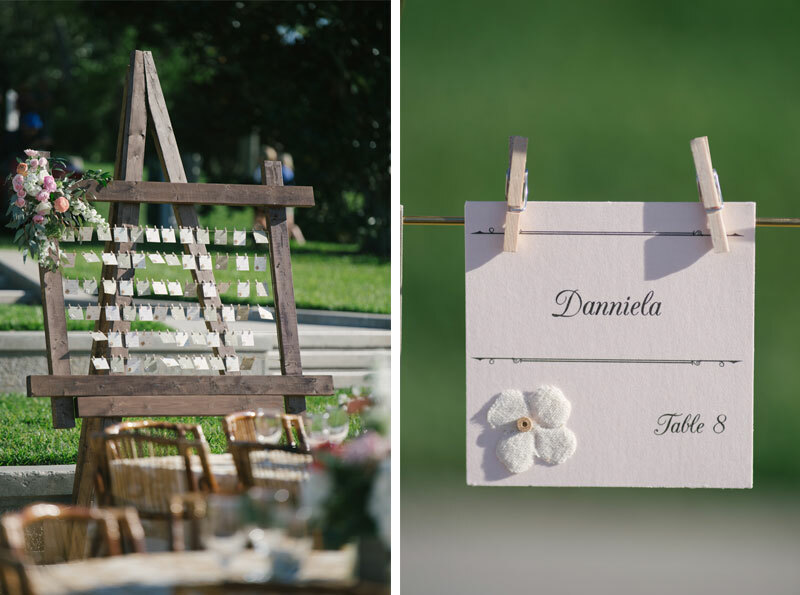 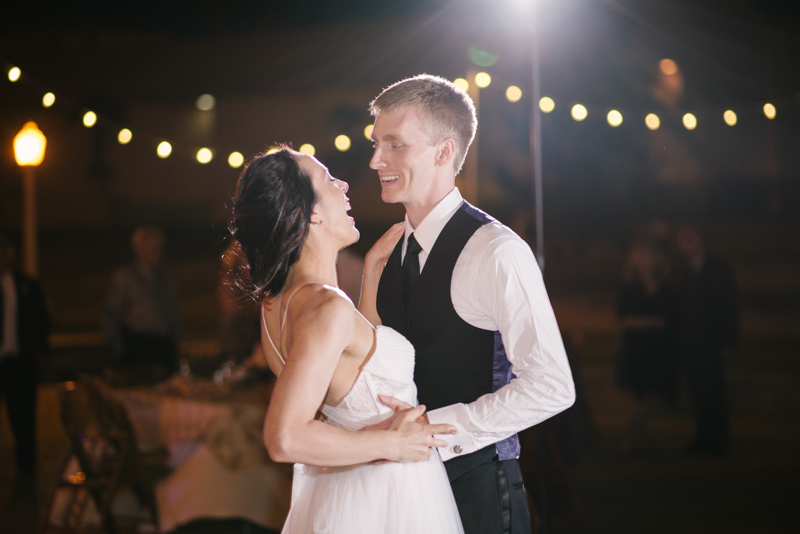 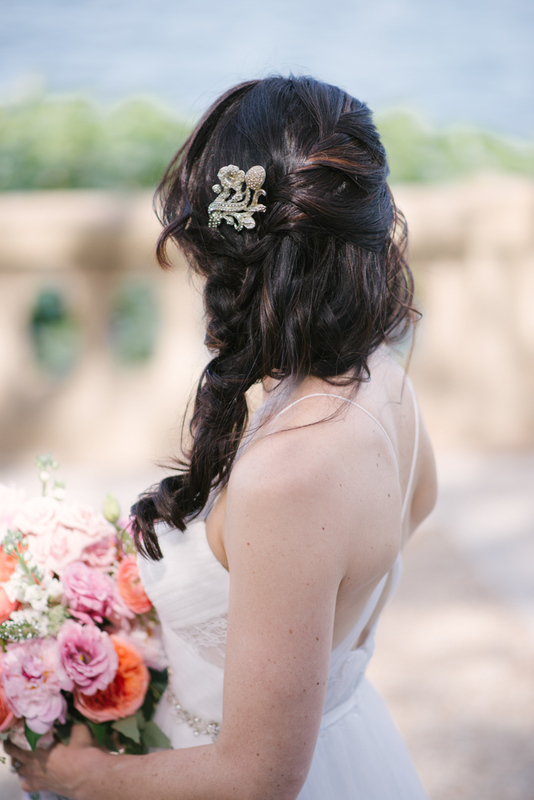 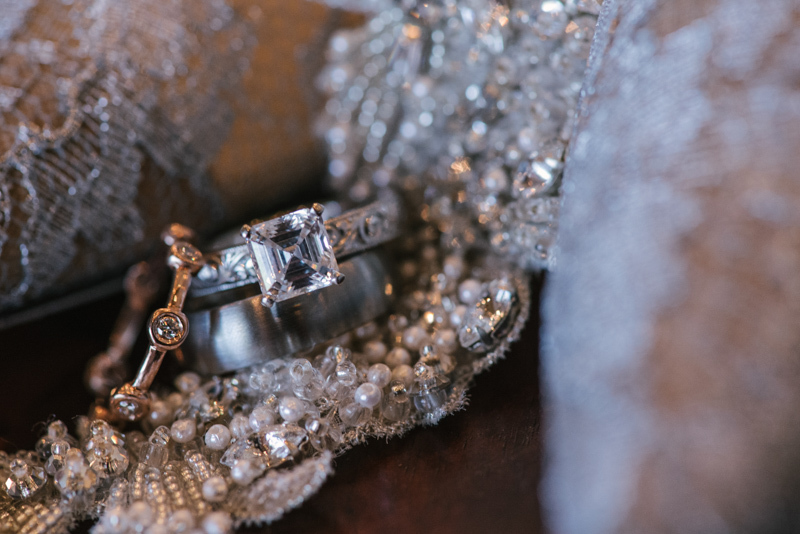 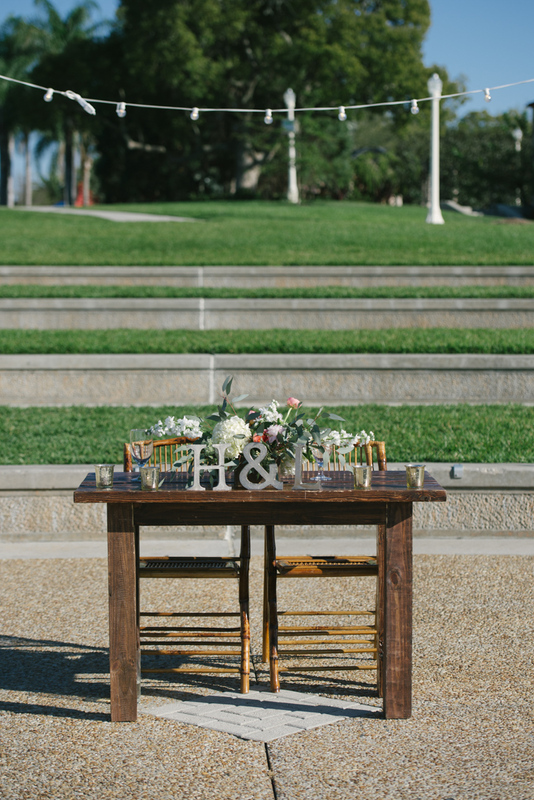 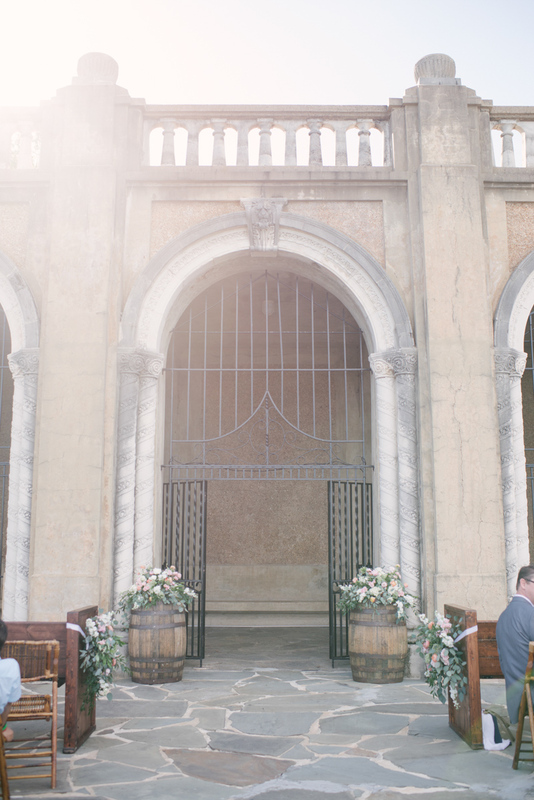 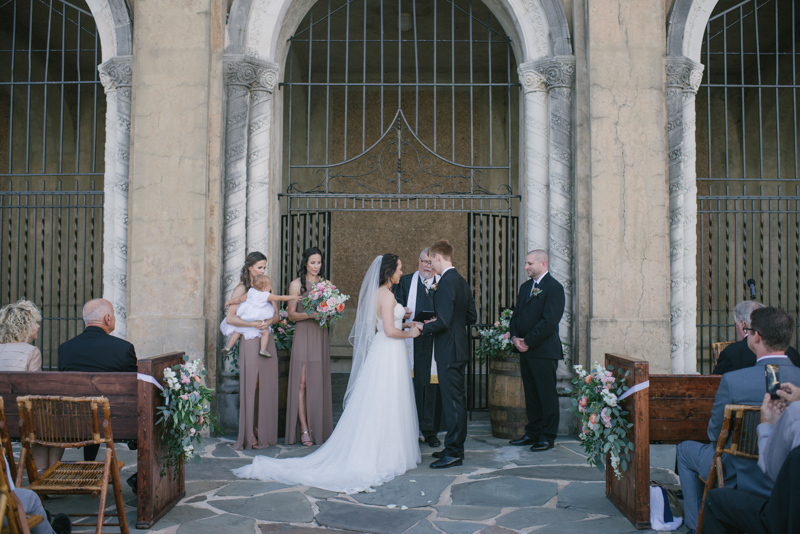 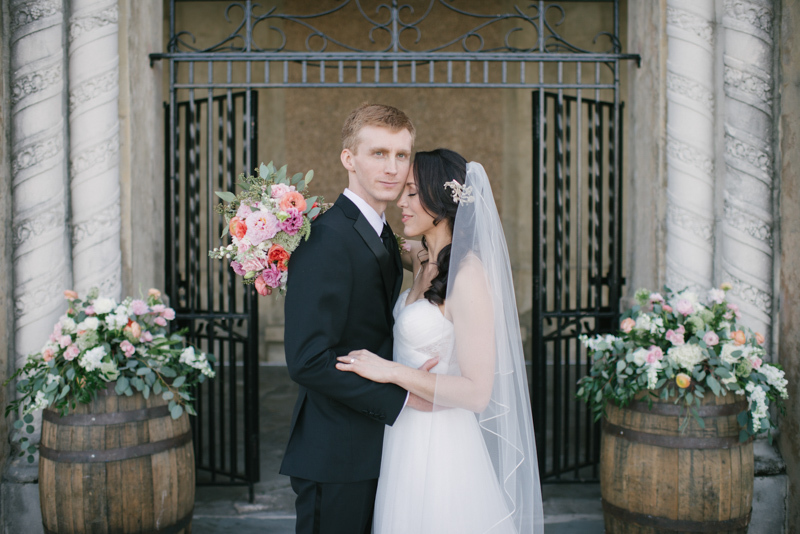 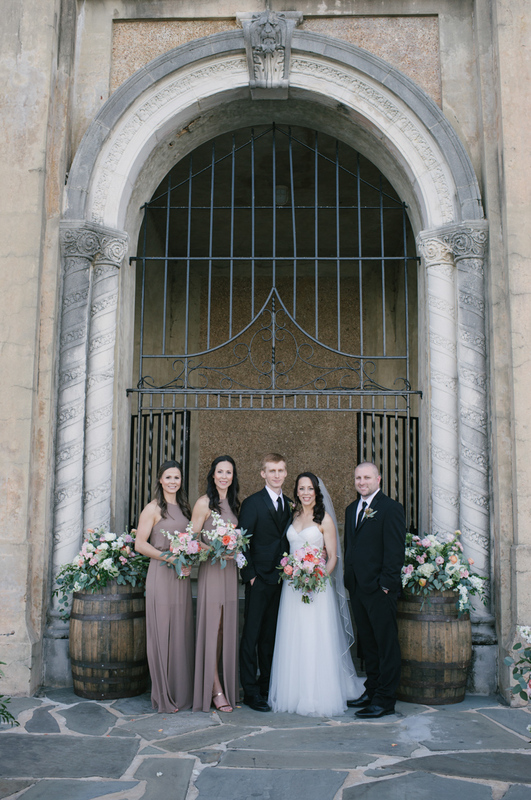 Their day was classic and romantic with a touch of rustic. 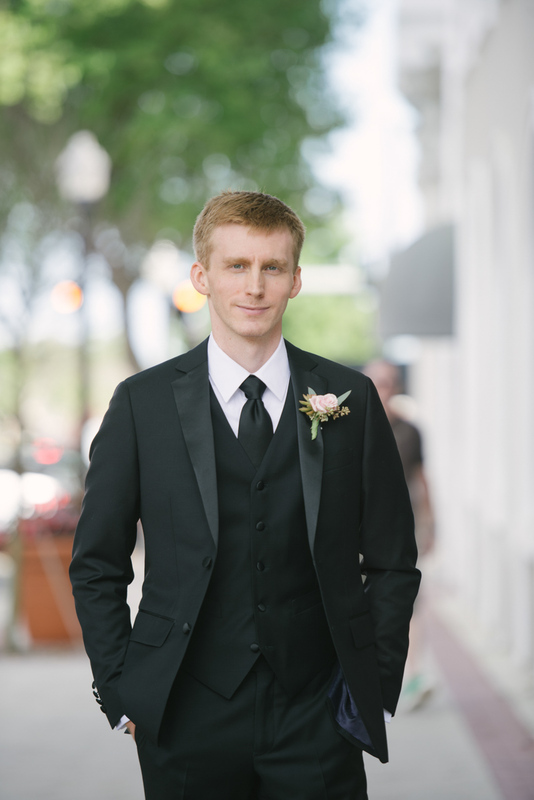 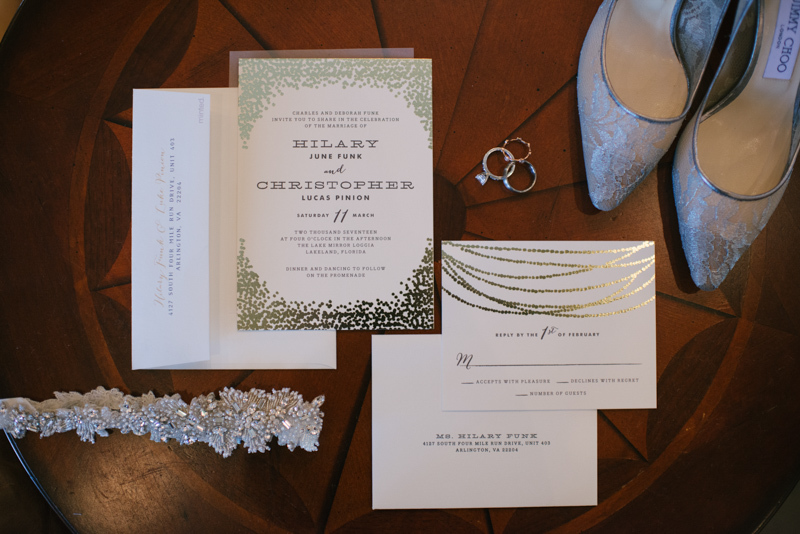 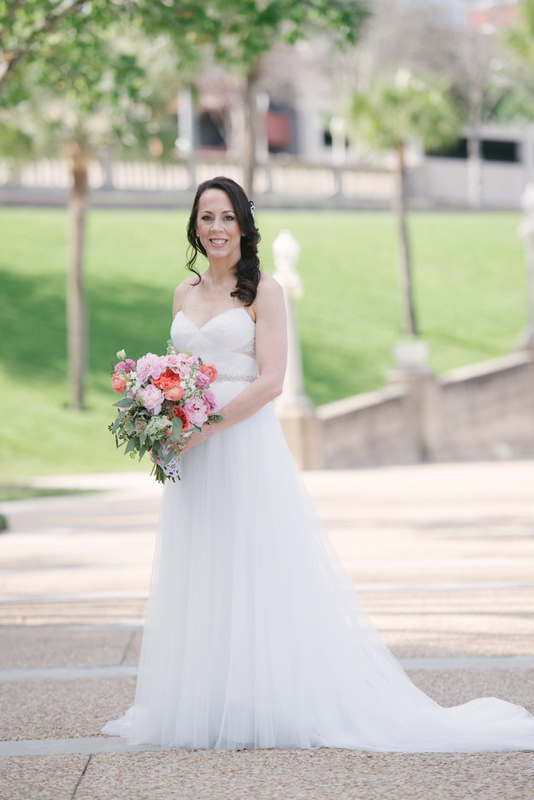 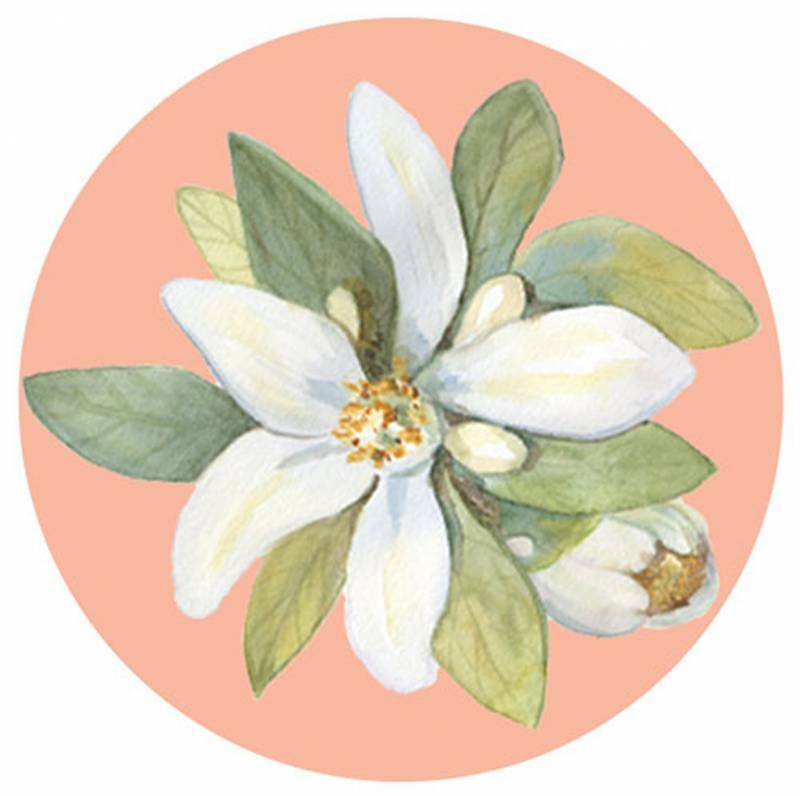 Hilary wore a flowing white dress and carried a bouquet wrapped in a lace doily, and Christopher met her at the end of the aisle in his black tux. 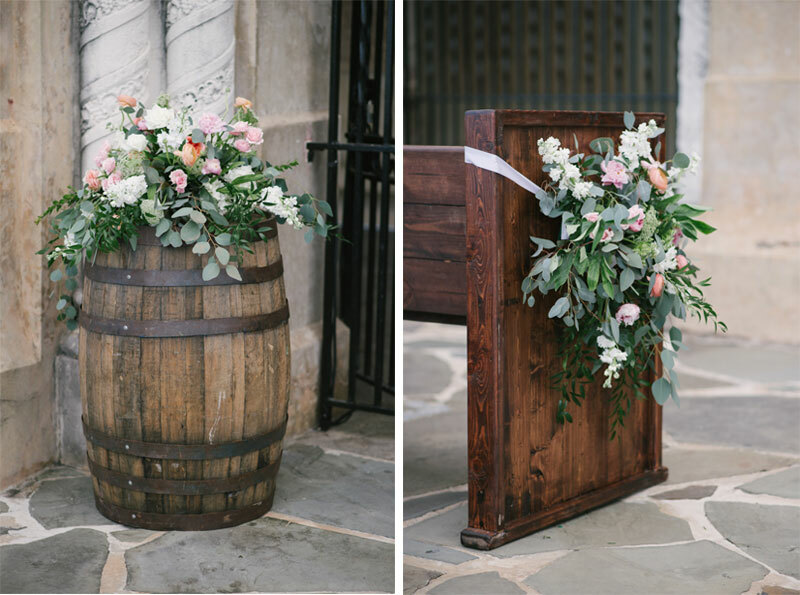 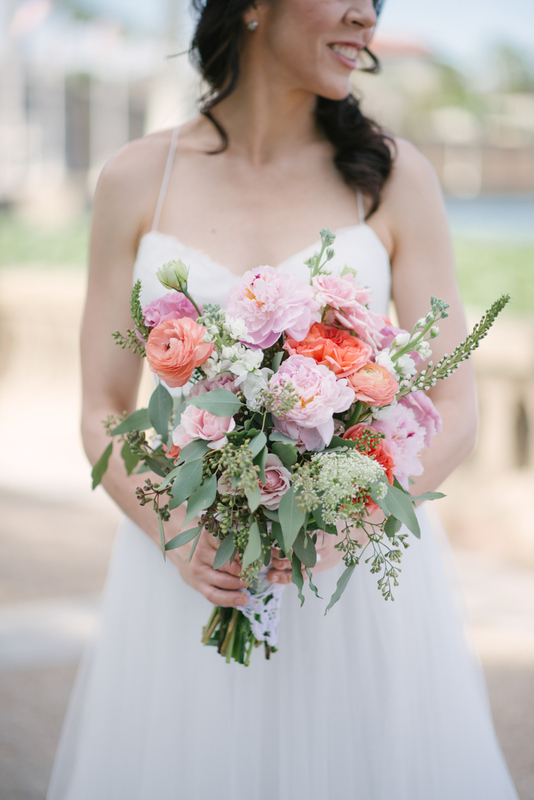 Coral and pink flowers hung on the wooden church pews that served as front row seating. 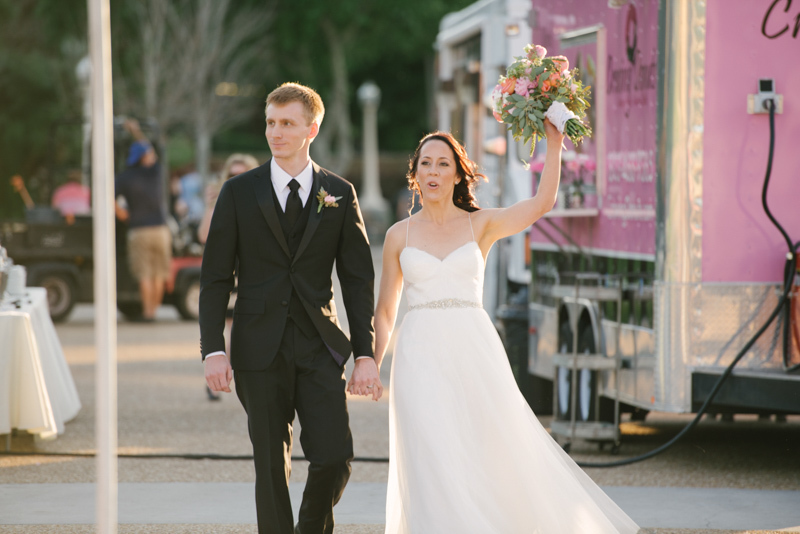 Once the happy couple was officially husband and wife, they were off to celebrate! 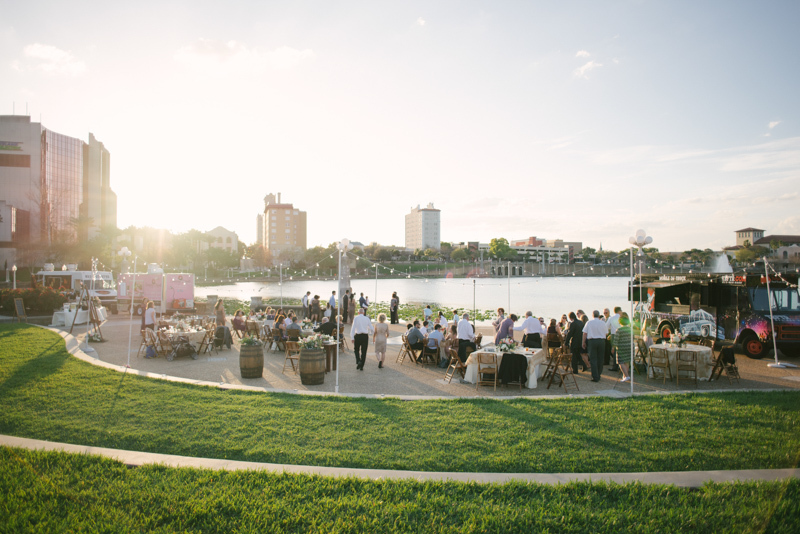 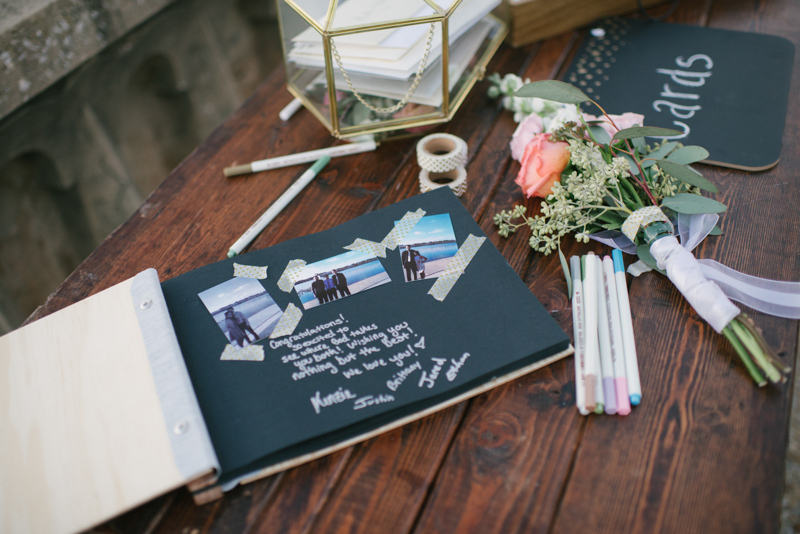 Their outdoor reception overlooked the lake, and guests mingled and dined as the sun set over the city. 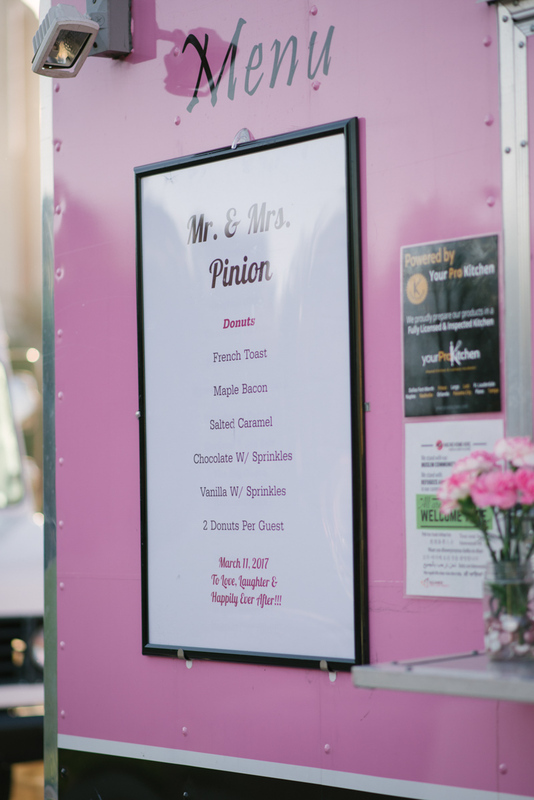 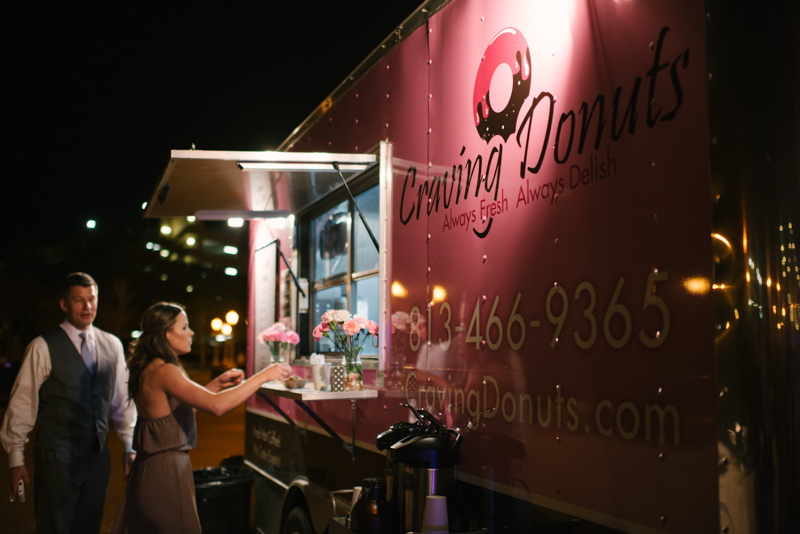 The party was full of trucks - there was a donut truck to hand out yummy desserts and a mobile DJ truck to keep the dance floor alive! 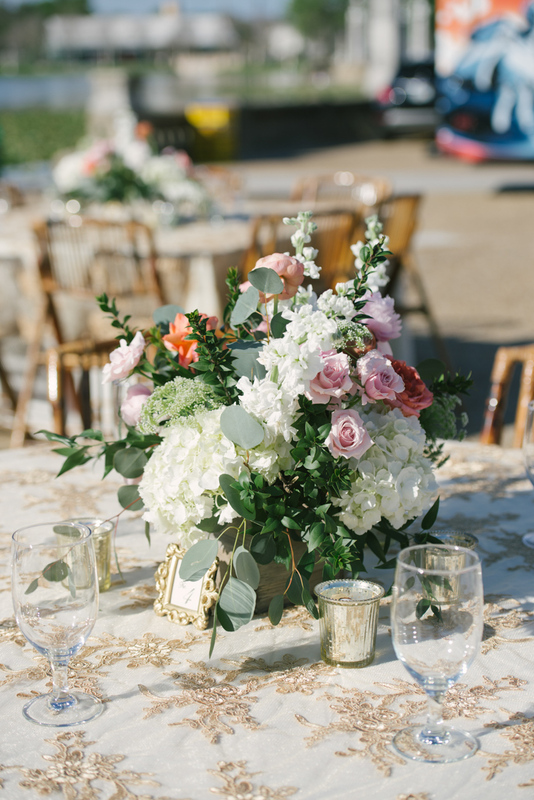 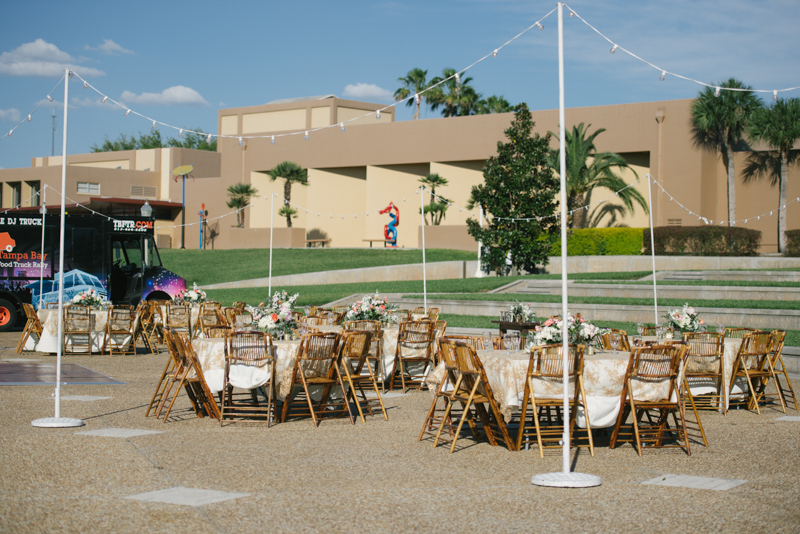 The blue lake, green grass, and floral centerpieces all popped against the neutral decor - it was beautiful scenery for a night full of fun!